Allowed Activities: Heavy and light manufacturing; agriculture; high technology; construction; hospitality, resort and service industries (hotels, restaurants, resorts, golf courses, entertainment, and the like); schools, health care facilities, and infrastructure; and cruise line support services. Allowed Activities: 1) Advanced logistic operations; 2) U.S. Customs bonded warehouse services; 3) U.S. Customs approved Centralized Examination Station. Allowed Activities: An agricultural investment program purchasing and converting fallow or row crop lands into permanent commercially viable fruit and/or nut trees and grape vines for the domestic and export markets, wineries, and elevator platform machinery manufacturing. Allowed Activities: Redevelopment and rebuilding of former military bases. Allowed Activities: Purchase vineyards and wineries and invest in troubled wineries. Allowed Activities: Agriculture & food processing, alternative energy, health services, higher education, motion picture & film, technology and transportation. American Hospitality Investments LLC has a number of qualified traditional EB-5 Investments in the hospitality industry that are real estate backed and have a much higher rate of return then any regional center investments with much less risk of loss. DMG Studio Holdings, LLC in Stratford, CT has a significant number of qualified EB-5 Investments in the digital media industry that are backed by real estate and other underlying assests such as IP and FCC licenses. Hartmann Development LLC Has a significant number of qualified EB-5 Investments in the Digital Media Industry that are backed by Real Estate, We also have Resort Properties Museum and Marinas & Construction Companies. We have Associates in Hong Kong, Main Land China, Tokyo & South Korea to help you. 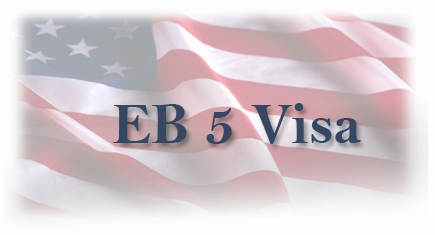 Florida Regional Center is an approved EB-5 Regional Center in Palm Beach County, Florida. Its allowed activities are Mixed-Use Commercial Projects, Hospitality, Retail, Restaurant, Office Space, Marina and Entertainment. Its current project is the Town of Jupiters downtown district, Harbourside Place. Allowed Activities: Traveler accommodation; Food services and drinking places; Retail trade; Real estate; Manufacturing; Performing arts; Museums, historical sites & similar institutions; Professional scientific and technical services. Allowed Activities: Hotel and Hospitality, Retail Shopping, Industrial, Restaurant, Office Buildings, Hospitals and Senior Care Facilities, Agriculture, Educational Facilities, Sports Entertainment, Energy, Food Processing, Mixed Use Projects. Allowed Activities: Construction of a hotel complex (includes spa, restaurants, and retail space). Allowed Activities: Farming tropical fruits: Lychee, Longan, and Rambutan. Geographic Area Covered: Illinois Counties of Cook, DeKalb, DuPage, Grundy, Kane, Kendall, McHenry, Will, Lake, Kankakee, Boone, Winnebago, Ogle, and Stephenson. Allowed Activities: Leasehold improvements to fixed asset commercial buildings sector; Mobile medical services facilities sector; Commercial lodging, hotels, and hospitality sector; Mixed-use real estate construction/reconstruction sector; Mixed-use residential lease and rental properties sector; Arts and sciences industry sector. Allowed Activities: Leasehold improvements to fixed asset commercial buildings sector; Mobile medical services facilities sector; Commercial lodging, hotels and hospitality sector; Mixed-use real estate construction/reconstruction sector; Mixed-use residential lease and rental properties sector; Arts and sciences industry sector; Harbor facilities sector; Gaming and casinos sector; Marine sector. Allowed Activities: Service Industry, Infrastructure, Waste Mgmt & Transportation. Allowed Activities: Agriculture, Natural Resources and Mining; Manufacturing; Trade, Transportation and Utilities; Information; Financial Activities; Leisure and Hospitality; Professional and Business Services; Education and Health Services; Other Services. Allowed Activities: Tourism and hospitality; Technology; Transportation; Manufacturing and Trade; Health services; Agriculture and food production; Higher education; Leasehold improvements to commercial office and mixed-use spaces. Allowed Activities: Animal dairy farm operations; Animal heifer ranch operations; Animal feedlot operations; and Meat processing and packing operations. Allowed Activities: Development and operation of fuel grade ethanol production facilities. Allowed Activities: Renovation of Industrial facilities or new construction of facilities to be leased to business tenants engaged in light manufacturing, or retail sales activities. Geographic Area Covered: 164-acre (0.66 km2) park located at Arlington Prairie Industrial Park, 101 Skyline Dr., Arlington, County of Columbia, Wisconsin Allowed Activities: The production and sale of Medium Density Fiberboard (MDF) and the production and sale of Cornstalk Polymer Composite (CPC).